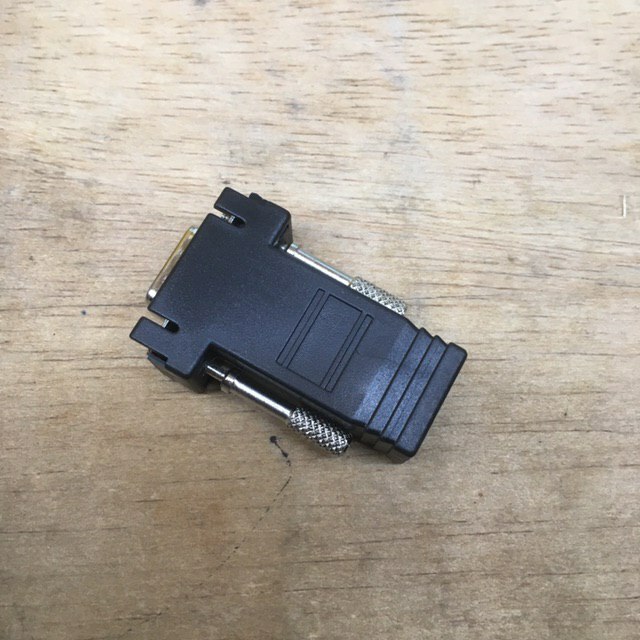 Konektor VGA Male to RJ45 / LAN. Cocok untuk perpanjangan kabel vga menggunakan kabel LAN. Cocok untuk cat5e maupun cat6. Harga per pcs. 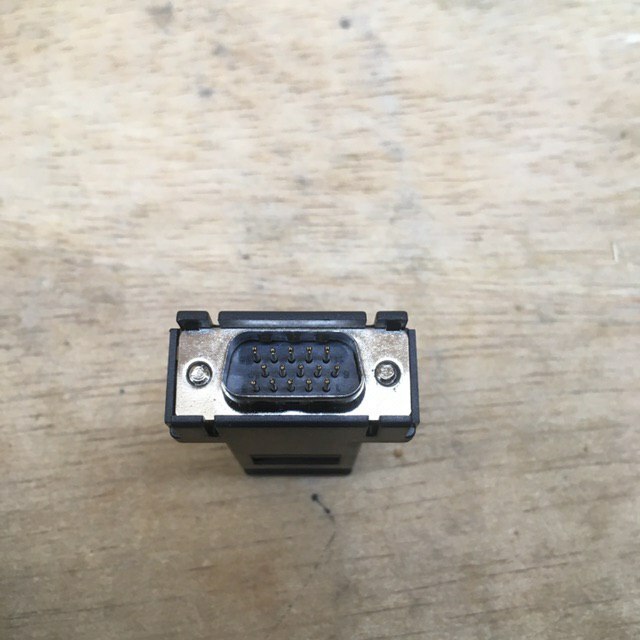 Pin Quantity: 15-pin Connector: 15-pin HD-15 Male to RJ45. Dimension: 52mm*33mm*16mm/2"*1.3"*0.6"(approx) Quantity: 1 PC Function: Use this adaptor to extend your VGA signal with a LAN cable. Application: This adapter will allow you to connect your PC, laptop, DVR, Media Center, or game console VGA video port to TV, projector, monitor with available VGA input for ultimate multimedia experience. Features: -Use a CATS, CAT5, CAT5E, and CAT6 LAN cable. (Cable is NOT included.) 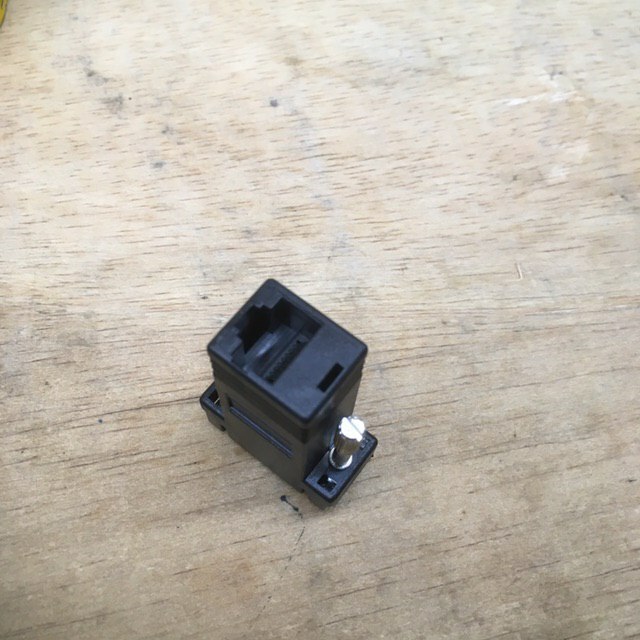 -Use either 568A, or 568B wiring standard on RJ45 on both ends with straight through connection. -The adaptor CAN NOT be used via a switch, router or hub. -DO NOT use crossover network cable. -Make sure that the your connection works over regular VGA cable, You CAN use VGA switches, splitters, and amplifiers. -If connecting to a TV with VGA PC Input, and there is the message Unsupported PC Signal check your manual for maximum or fixed resolution of your TV PC input. In most cases it is 1024x768. -The other way to test the limits is to lower your PC video card resolution to 800x600, then gradually increase it. -Some TV's and monitors require fixed resolution of the video card in order to display picture.